As Phoenix Natural Gas celebrates the completion of a major construction milestone in the East Down gas network extension project, Executive Director, Jonathan Martindale, reflects on the role of corporate social responsibility in connecting with the community. For the past two decades, Phoenix Natural Gas has built up a base of some 210,000 customers in its licence area of Greater Belfast, delivering a reliable and efficient heating source and establishing itself at the heart of many homes and families. 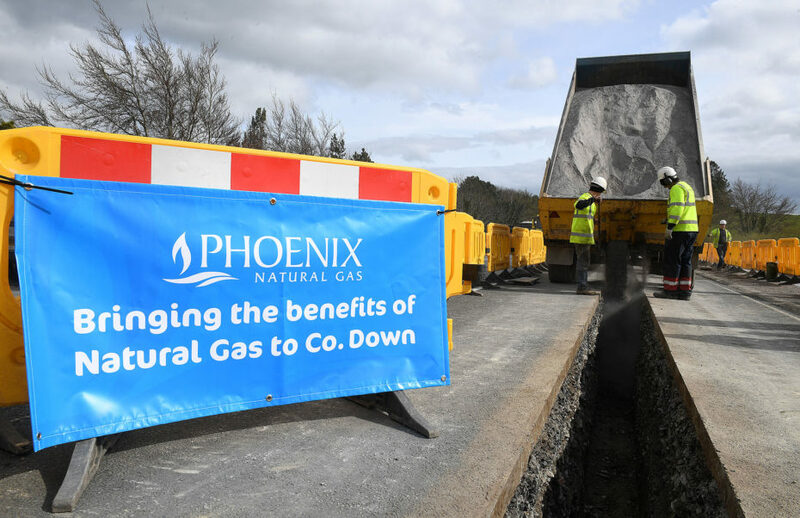 As a household brand synonymous with the Greater Belfast community, Phoenix Natural Gas has been embraced as the fuel of choice in this area and enjoys continuous growth year on year as more properties connect to the network. Twenty years on, the company is not only focused on growing its customer base within its existing licence area, but also expanding its network to additional new areas, the most significant of which is the current East Down network extension project. “Over the past 20 years, Phoenix Natural Gas has evolved its approach to CSR from simply being ‘the right thing to do’ to being intrinsically entwined with the business strategy, seeking to build a long-term, sustainable business that creates real economic, social and environmental value.